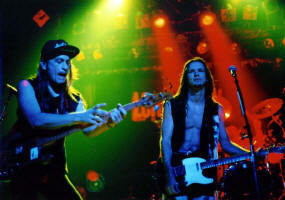 Barside Jive: Here it is ...my most recent interview with original member of PANTERA, Terry Glaze. 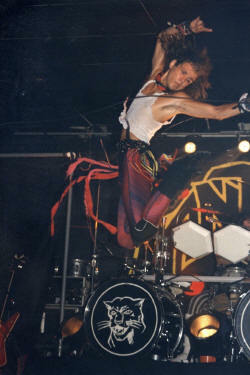 Vocalist for what started as a glam metal band turned heavy metal, Terry Glaze was an original member of Pantera and close friend of both Vinnie Paul and Darrell Abbott. growinuprock.com: We have done a lot of interviews at this stage of the podcast. 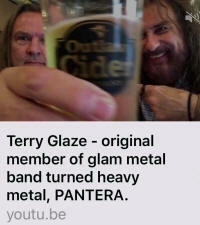 As far as I can remember, nothing matches the fun Sonny and I had with Lord Tracy’s frontman Terry Glaze on a Friday night sitting around the computer. Terry is a charismatic and funny dude that we loved hanging out with on Skype. We happen to love his music and we think you’ll enjoy this episode. 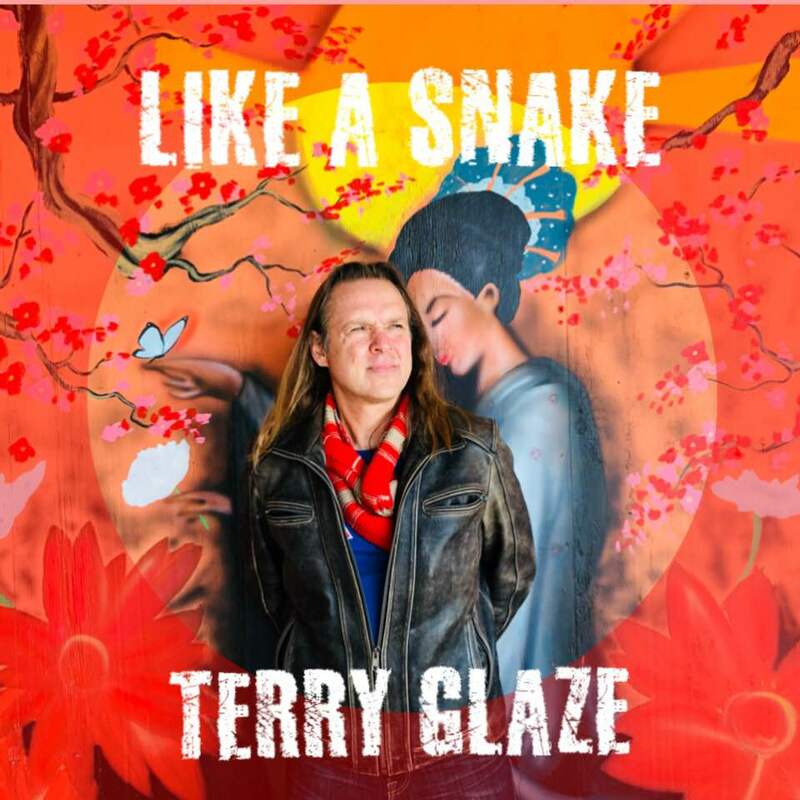 02.12.18 Terry Glaze : â€œLike A Snakeâ€� Digital Single - 16th February 2018. 02.05.18 Lord Tracy performed Feb 2nd and 3rd at the Stage Stop last days in Memphis. 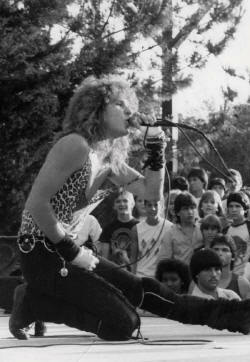 03.10.17 The Glam Era of Pantera: How glam metallers became Cowboys from Hell. 02.24.17 Terry Glaze releases his latest single, Find Me a Woman, Available now on iTunes and cdbaby! 12.17.16 Interview with Terry Glaze will run live at 10pm EST. Please listen at www.uncontrollednoize.com, www.cmsradio.net or www.spreaker.com/user/cmsrocks. It will also be available to download on podcast on Spreaker or iTunes. 11.11.16 The Crayfish performed at Blackwall Hitch in Alexandria, Va.
05.25.16 RAISED BY GODS New Record TOO LATE NOW - now available on iTunes! 05.02.16 Raised by Gods released their new record, "TOO LATE NOW"
02.27.16 Terry and Michelle performed at Pirate's Cove in Galesville. 02.20.16 The Crayfish performed at the Bowie American Legion. 02.19.16 Terry and Michelle performed at Killarny House in Davidsonville. 02.12.16 Terry played with Spitfire at Perry's in Odenton. Thanks to everybody that came out! 01.29.16 Terry & Michelle Grasso performed at T-Bonz in Ellicott City, Maryland. 12.31.15 The Crayfish ended the year with the annual T.J. Elliott's New Year's Eve Celebration! 12.12.15 The Crayfish performed at Perry's in Odenton. 11.20.15 Terry and Michelle performed at Killarny House in Davidsonville. 11.14.15 The Crayfish performed at T.J. Elliott's in Bowie. 10.31.15 The Crayfish rocked the house at the Annual T.J. Elliott's Halloween Bash. 05.26.15 Terry Glaze perfomed at the Bowie Baysox Stadium. 04.11.15 Lord Tracy ROCKED the Stage Stop in Memphis TN! 04.03.15 Terry Glaze performed at Killarney House in Davidsonville. 03.27.15 The Crayfish performed at the American Legion in Bowie. 02.06.15 The Crayfish rocked the house at Perry's! 12.12.14 The Crayfish performed an awesome last gig of 2014 at the Irish Channel. 12.06.14 Terry Glaze performed with Spitfire at The American Legion in Laurel, debuting their new singer, Michelle Grasso. 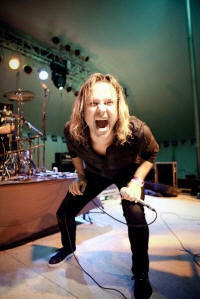 Killer first gig! 10.31.14 The Crayfish rocked it at T.J. Elliott's for the annual HALLOWEEN PARTY! 09.26.14 It was a beautiful evening for the last outdoor solo performance by Terry Glaze at Fado, Annapolis. Great time! 4.17.10 Terry reunited with Rex Brown performing "Come on Eyes"
from the 3rd Pantera Album " I am the Night"
Copyright 2019 [TerryGlaze.com] All rights reserved.